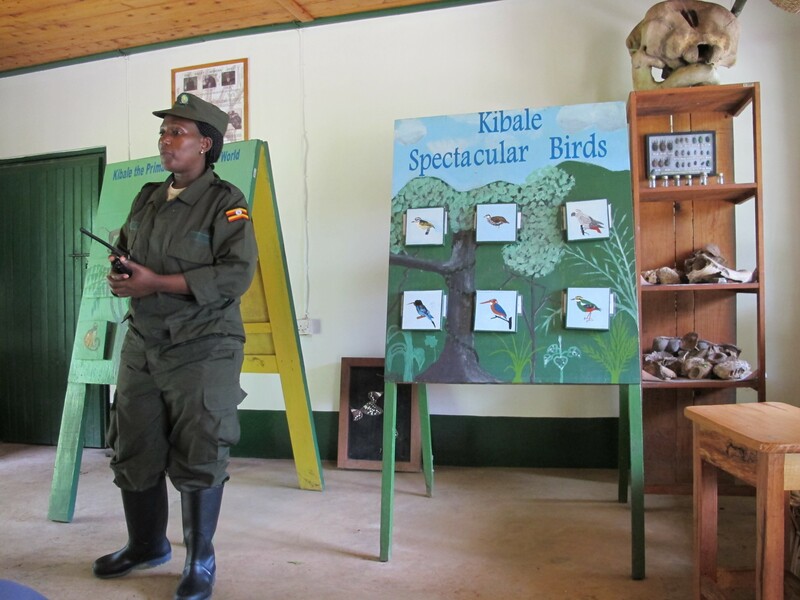 Pronounced 'Chibaale', Kibale is located in the western corner of Uganda, at the base of the the Rwenzori Mountains. The area is made up of lush equatorial forests, lakes and grasslands, and borders the Queen Elizabeth National Park in the south, forming a continuous forest and creating a 180km long corridor for migrating wildlife. 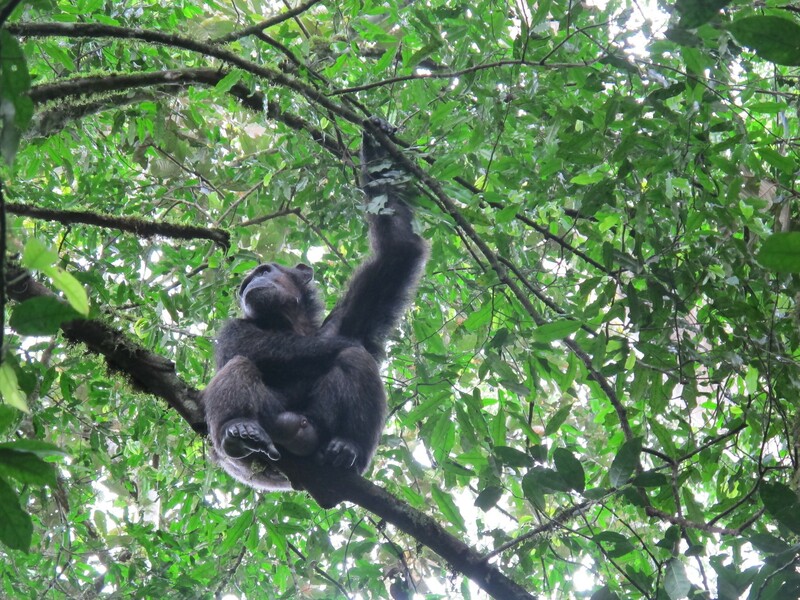 In addition to having over 229 species of tree, many of which are endangered, Kibale Forest has a remarkable biological diversity, with 13 primate species, 60 species of mammal, and around 350 bird species. 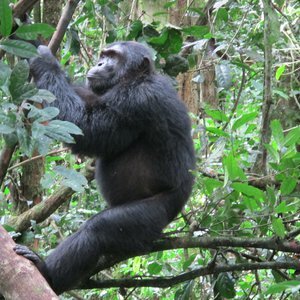 Kibale Forest National Park is a beautiful location, but not regarded as a typical Big 5 safari destination. There are very few big cats (leopards) and no rhino. 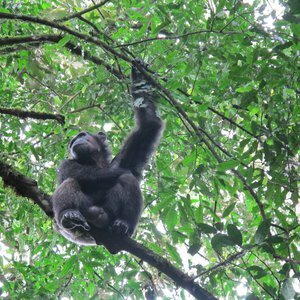 What there is however is one of the best places in the world to see the chimpanzee, with over 500 chimps as well as 12 other species of primate found here. 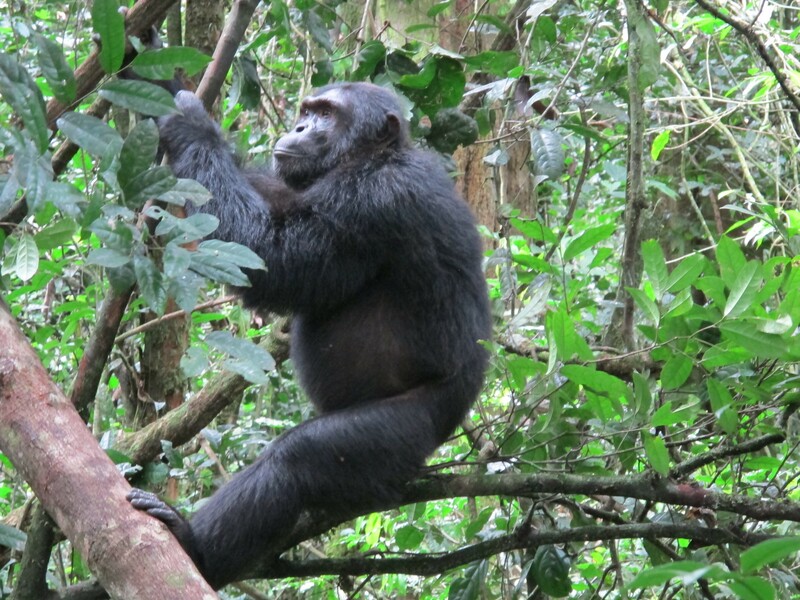 The fully guided chimpanzee tours depart twice daily from the entrance of the park. 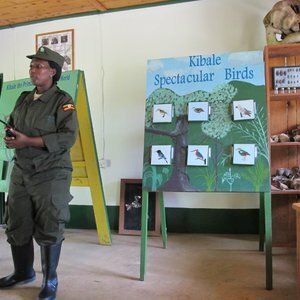 Here, your trained guide and ranger will share a wealth of knowledge on the forest habitats, flora and fauna, whilst allowing you to spend an hour with the chimps. 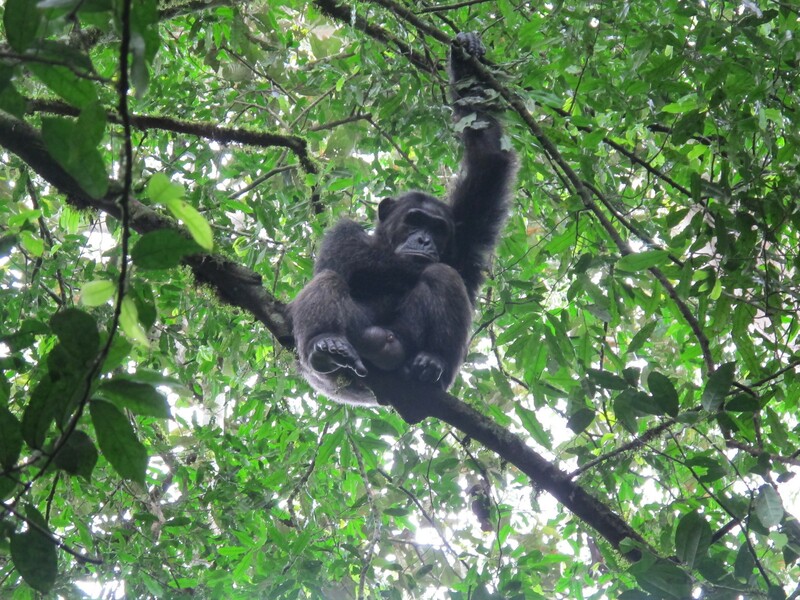 Unlike gorilla trekking, you are not assigned a chimpanzee family to visit, and you will be amongst all of the chimps depending on their activity. 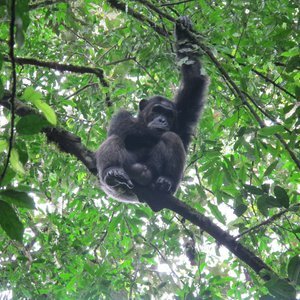 Chimpanzee trekking is considered less strenuous than visiting the gorillas, and the walking is generally flat with no major inclines.